The Cabinet of Dr. Caligari (1919) is about a carnival sideshow exhibit of the same name presided over by the madman Dr. Caligari. The sideshow features the murdering somnambulist, Cesare. The first monster movie, a genre which Universal were to make their own, was The Golem (1920). In 16th century Prague, a rabbi fashions a creature from clay, a Golem, and brings the creature to life using magic to protect the Jews from persecution. The very first vampire movie was Nosferatu (1922) and it was a blatant plagiarisation of Bram Stoker's Dracula. The names of the characters were changed, but the story was unabashedly the same. Legal wrangling meant that some of the prints of the film were destroyed. The golden age of horror cinema started with the films of Universal. Its first horror film was Dracula (1931), and it made its main star, Bela Lugosi, a household name. Boris Karloff was also made a household name when he appeared in Frankenstein (1931), as the Monster. Universal Monsters were very successful; 1932 saw The Mummy and 1935 saw The Werewolf of London. In the 1940s one of the most successful films for Universal was The Wolf Man (1941). The film established Lon Chaney Jr., as a major horror actor, and he would reprise his wolf-man role many times. In fact, the Monsters were recycled over and over, even appearing together. The Mummy, for instance, appeared again in The Mummy's Hand (1940), The Mummy's Tomb (1942), The Mummy's Ghost (1944) and The Mummy's Curse (1944). Frankenstein's Monster appeared again in Bride of Frankenstein (1935), Son of Frankenstein (1939), The Ghost of Frankenstein (1942), Frankenstein Meets the Wolfman (1943), House of Frankenstein (1944) and House of Dracula (1945). Other notable films from Universal include The Black Cat (1934) and The Raven (1935), both starring Boris Karloff and Bela Lugosi. In 1957 Hammer produced The Curse of Frankenstein starring Peter Cushing and Christopher Lee, the first time they starred together. The partnership of Cushing and Lee was one which Hammer repeated many times over the subsequent years. 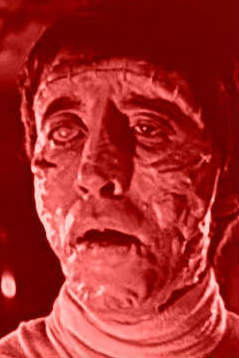 Hammer were to produce another six Frankenstein films. The Revenge of Frankenstein (1959), Frankenstein Created Woman (1967), Frankenstein Must be Destroyed (1969) and Frankenstein and the Monster from Hell (1974) are considered to be direct sequels, and The Evil of Frankenstein (1964) and The Horror of Frankenstein (1970) are stand-alone films. Another franchise that Hammer found successful was the Dracula series of films. The first film was Dracula (1958); another Cushing and Lee team-up. This film spawned seven sequels; The Brides of Dracula (1960), Dracula: Prince of Drakness (1966), Dracula Has Risen from the Grave (1968), Taste the Blood of Dracula(1969), Scars of Dracula (1970), Dracula AD 1972 (1972) and The Satanic Rites of Dracula (1973). Amicus are famous for their Portmanteau Horror, or anthology films. These include Dr. Terror's House of Horrors (1964), Torture Garden (1967), The House that Dripped Blood (1970), Tales from the Crypt (1972), Asylum (1972), Vault of Horror (1973) and From Beyond the Grave (1974). These films usually include five short horror stories tied together with a wrap-around plot. Other noteworthy films from Amicus include The City of the Dead (1960) and The Skull (1965). Another British film production company that produced horror films was Tigon. Like Amicus, Tigon used many horror actors from Hammer, including Christopher Lee and Peter Cushing. Witchfinder General (1968) and Blood on Satan's Claw (1971) are two of Tigon's best films. Besides the films of Universal and Hammer, other studios produced some noteworthy films. Night of the Demon (1957) is hailed as a classic by general agreement. Directed by Jacques Tourneur, one of the supernatural chiller's most abiding images is the sight of the demon coming out of the screen at a distance. The Wicker Man (1973) is another seminal British horror. This stars Christopher Lee as the Lord of a Pagan island and Edward woodward as an innocent police Inspector who is marked for sacrifice. Don't Look Now (1973), starring Julie Christie and Donald Sutherland, is based on a short story by Daphne Du Maurier. An architect in Venice grieving for his dead daughter starts to see sightings of her. Each film on this site has a rating. The rating goes from 0 to 5 stars. The number of stars is computed using its score on the Internet Movie Database. The score on the IMDB comes from its many users. For instance, a film obtaing a score of 3.0 on the IMDB gets no stars, and one obtaining a score of 8.0 gets five stars. The number of stars is next to each film's title. You may not agree with many of the ratings on this site, as of course it is a very subjective concept. However, they give you some idea of how well the film is considered within the general population.